Even though MeBO’s Board Members and other volunteers have never received compensation for their long hours of volunteer work for over 3 years, everyone who has participated in the coordinated efforts of the various international MeBO Programs, sufferers and non-sufferer supporters alike, have nonetheless made a huge impact in paving the way toward raising awareness and promoting testing and research for body odor sufferers. The strong dedication and conviction of people in our international community has allowed for many programs to be created and to grow in leaps and bounds in a relatively short period of time. Initially MeBO’s strategy began by contacting experts to establish relations with them, who in turn have supported our cause by participating in interviews, pro-bono consultations with MeBO as they very kindly explained various body odor condition concepts to us, and general guidance for our community. MeBO needs to find a volunteer accountant in the United States who would offer pro bono services to file a 990N Postcard by May 15, 2011. In addition to compiling information about TMAU testing labs around the world and posting it in MeBO’s blog and website, as well as promoting all existing testing opportunities, MeBO has established international testing opportunities, such as the MEBO-Biolab Gut Dysbiosis Study and TMAU testing, and continues to pursue international testing opportunities for other types of body odor condition as well by negotiating group rates with various labs in multiple countries. In an effort to allow these tests to be accessible to all sufferers around the world, MeBO has committed to overcome many significant obstacles encountered in the complex process of international shipping of very small amounts of chemicals and biological goods (urine and blood samples, etc.) we use for diagnostic purposes. RAISING AWARENESS IN THE MENTAL HEALTH COMMUNITY: As MeBO has attempted to define the therapeutic needs of sufferers, MeBO launched a very proactive attack on efforts made by the American Psychiatric Association to classify Olfactory Reference Syndrome (ORS) as a delusional condition. This campaign was very successful in that instead, it was classified in the Appendix for Further Research, and leading experts in the Mental Health field in the Eastern and Western parts of the US, shift their treatment approach for, “an Obsessive Compulsive Spectrum Disorder with a strong anxiety component. As such, it belongs in the new Anxiety and Obsessive-Compulsive Spectrum Disorders category.” Additional effort is needed to now spread this new classification and therapeutic perspective to all mental health experts around the world. MeBO needs to raise £2,000 to raise MEBO’s Not For Profit Limited by Guarantee status to a Charity status in England and Wales to have the same opportunities as its US Charity status enjoys. 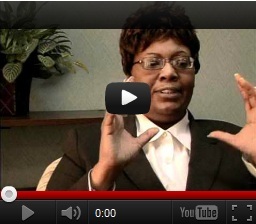 Glenna is embarking on a proactive effort to establish relations with US senators, congresspersons, political journalists, etc., in an effort to raise awareness of the existence of body odor conditions, the devastation it brings to the lives of sufferers, including resulting in serious mental health conditions, and in some cases, significantly aggravate certain pre-existing medical conditions, such as epilepsy, learning disabilities, anxiety, and possibly others, as noted in some scientific studies. The primary purpose of establishing relations with our representatives is to obtain political and financial support through grants for research into all types of body odor conditions. Glenna’s great personality and education is one of MeBO’s strongest assets in our efforts to work closely with multiple body odor organizations in an attempt to reach other public institutions through public speaking events and the press. Glenna has coordinated and organized MeBO’s Annual Meetup in Washington DC this year, with the help of other volunteers. Glenna has many plans of important projects to raise social awareness, and the more volunteers that come forward to help her, the greater our chances of achieving these ventures. Countless hours of technical assistance have been donated by MeBO’s Tech along with other volunteers, which allow the logistics of all the programs mentioned above to come to fruition. With the advancements of modern technology, communications boundaries that previous existed are now nonexistent and people from around the world can work on the same projects together, each in their respective countries, thanks to the volunteer services of our technical consultant. In this past year, MeBO has placed greater focus on fundraising for the NORD fund than for any other MeBO activity, with much success, since we already had the funds necessary to register MeBO as a Charity in the United States. MEBO Research, Inc., was awarded a Public Charity 501(C)3 status in the United States effective April 21, 2010 with the pro bono services of the Legal Clinic of the College of Law of Florida International University. This status elevates MeBO to a more reputable status which Glenna can now exploit as she attempts to persuade our legislative representatives for assistance. Thanks to all the pro bono and volunteer service, MeBO has not needed much money to achieve Charity status in the US and to accomplish many of the above-mentioned projects. Although most companies go in the red the first year or two of their inception, MeBO has steadfastly stayed in the black at all times, as our expenses have been kept at a minimum level. MeBO has enjoyed the pro bono services of a volunteer non-sufferer in England whose compassion and expertise is greatly appreciated. To find a volunteer accountant in the United States who would offer pro bono services to file a 990N Postcard by May 15, 2011. To raise £2,000 to raise MEBO’s Not For Profit Limited by Guarantee status to a Charity status in England and Wales. 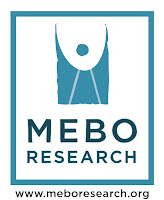 MEBO Research was registered in England and Wales on February 5, 2009.